Yes it's our Christmas and we're giddy. College bands across the country are beginning band camps which means we get to see for the first time in 9 months some new marching band content! 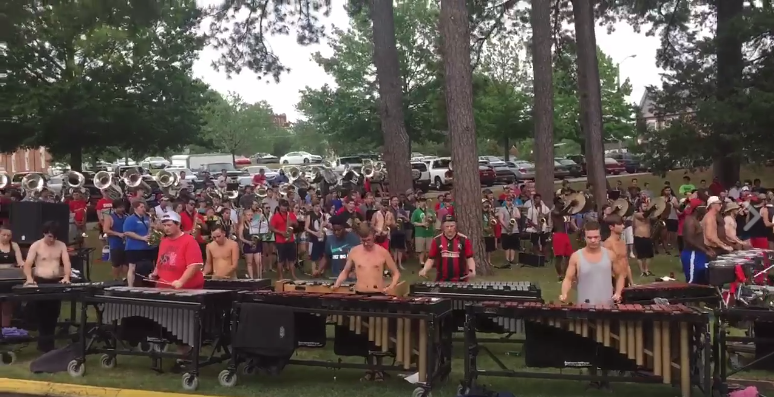 And who better to start off the season with some new video than the Jacksonville State Marching Southerners. Watch this clip posted by their Director Ken Bodiford of them absolutely kicking already. Seriously this is the first full band rehearsal and they already sound this good. SCARY! Can't wait to see this show.